There have been five new models added to the Premier line up from Seiko. The watches use a common color theme of whites and blues that are reminiscent of scenery from the Mediterranean coast. The first pair of watches utilise the 7D56 Kinetic Perpetual calibre and come in stylistic stainless steel cases. The SNP159P1 has a white dial and blue hands and the SNP161P1 has a blue dial with silver hands. The 7D56 calibre has a perpetual calendar that is correct to the year 2100, there is a 24-hour hand, month indicator and leap year indicator. The second pair of watches utilise the 5D88 Direct Drive Kinetic movement and has a 24-hour hand, moon phase indicator, power reserve indicator and day/date. There are two colorways with a white dialed SRX015P1 and the blue dialed SRX017P1. The final model is the SSA399J1 with an automatic 4R71 calibre. This movement has a manual winding capability, power reserve of 41 hours and operates at 21,600 vibrations per hour. 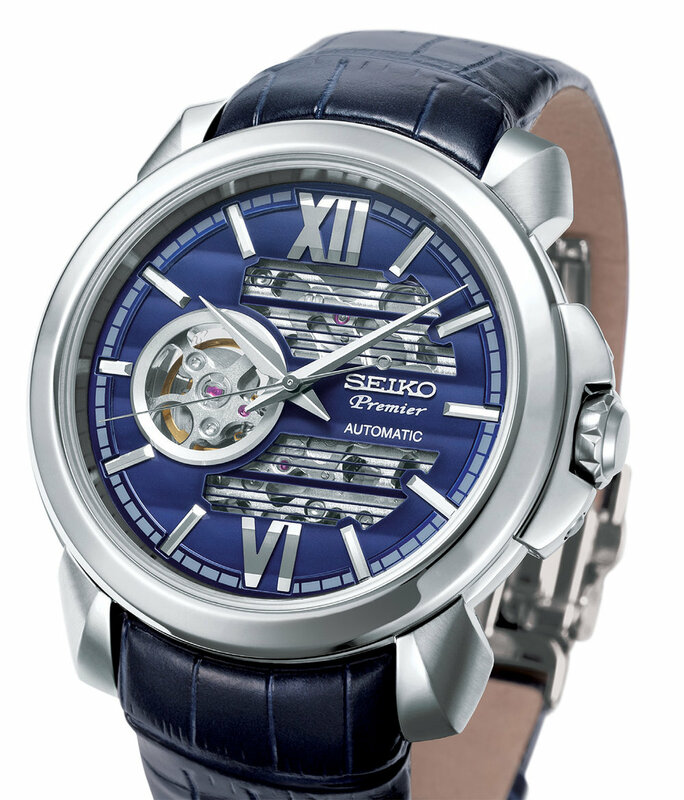 The dial on this model has blue stripes and a slat pattern allowing the movement to be viewed.